"Fat-free" products aren't what they're cracked up to be. They can actually cause more harm than good, and knowing the difference between low-fat and fat-free is essential if you want to lose weight. "Fat-free foods" have to contain less than 0.5 grams of fat, while low-fat foods must contain 3 grams or less, "reduced-fat" products must have at least 25 percent less fat and "light" foods must have either 1/3 fewer calories or 50 percent lessfat, per the USDA. With fat-free foods, manufacturers often have to add extra sugar, flour, salt and thickeners to give them more flavor, which also adds more calories and can make you gain weight. What matters, however, is whether you are ingesting good fat vs. bad fat, and that the amount of fat in your overall diet is less than 30 percent. "Good" fat is heart healthy and includes monounsaturated and polyunsaturated fats, and can keep you at a healthier weight. So can eating less saturated fat, trans fat and cholesterol. Start losing weight today. Call now for your first appointment. Thanksgiving could be a minefield for anyone trying to maintain a healthy diet, but a few helpful tips can hold you back from a dieting mistake. These are some of the foods you should skip in lieu of healthier Thanksgiving offerings. They call it stuffing for a reason. This is one of the fattiest items on the Thanksgiving spread, so be sure to steer clear of this one. If you dine on turkey, opt for the white meat, which can save you 50 calories and 4 grams of fat. Although cranberries are natural, the added sugars can throw your healthy meal offtrack. Surprisingly, turkey gravy is a slightly healthier choice at 30 calories and 1.5 grams of fat per 1/4-cup serving. These are easy to keep eating and never stop, and pile on the calories and carbs. If you must, try one roll and go very easy on the butter (like a thin spread, not a pat) or try a dab of olive oil instead. Just say no! A slice of pumpkin pie can add as much as 316 calories and 14 grams of fat to your meal. A good rule of thumb: make choices at Thanksgiving based on what foods are closest to their natural state. Read more weight loss tips here or call to make an appointment with Dr. Aron for your first appointment. Things are about to change and it's not for the better. By the year 2020, the majority of American adults will be overweight or obese and will suffer from serious health conditions such as diabetes or pre-diabetic conditions. 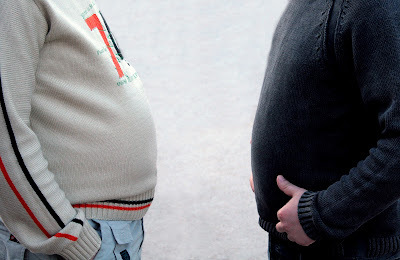 83 percent of men and 72 percent of women will be overweight or obese. 77 percent of men and 53 percent of women will have dysglycemia (either diabetes or pre-diabetes). The reality in America today is that 72 percent of men and 63 percent of women are overweight or obese and 62 percent of men and 43 percent of women have dysglycemia. Less than 5 percent of the population is actually considered to have ideal cardiovascular health. Don't be one of these statistics. To make a change for the better, you can improve your cardiovascular health by eating a healthy diet, getting physical exercise and being physically active, as well as leading an overall healthy life and avoiding such activities as smoking. Let Dr. Aron simplify the dieting aspect of your healthy new lifestyle and call to make an appointment today. Most people haven't a clue how to eat healthy portions for everyday meals let alone at Thanksgiving. Your stomach is only the size of two fists, so it's easy to overdo it with all typical Thanksgiving offerings, even when eating small amounts of everything. Choose a smaller plate so you don't fill up on too much. If you're going to be a guest at someone's house and expect a smorgasbord of unhealthy offerings, try filling up on fresh greens at home beforehand so you don't overeat. Select sides you only get to eat once a year. Start eating the veggies first, then the turkey and sides. Go for a walk after the meal. Don't just sit around! Call 718-491-5525 for a free initial consultation. Did you know that a diet lower in calories could lengthen your life? That's what findings in a recent scientific study published in Molecular Cell say, which could completely change the way you look at what you eat daily. "We are able to show that caloric restriction slows down aging by preventing an enzyme, peroxiredoxin, from being inactivated. This enzyme is also extremely important in counteracting damage to our genetic material," says Mikael Molin of the Department of Cell and Molecular Biology. By gradually reducing the intake of sugar and proteins, without reducing vitamins and minerals, researchers have previously shown that monkeys can live several years longer than expected. Other benefits from consuming fewer calories include slowing down the aging process as well as diseases such as cancer and type 2 diabetes. The earlier you reduce your caloric intake the greater the effect, researchers say. Making such changes to your diet as reducing total calories should be done with the advice of a knowledgeable medical weight loss doctor, and Dr. Aron can help. 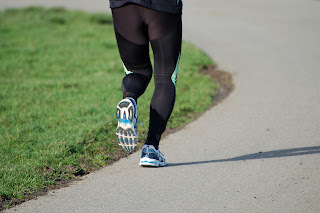 A new study from the Medical Research Council Epidemiology Unit in Cambridge, UK, which was published in PLoS Medicine, has great news for those who may have obesity in their genes: being physically active can actually reduce your predisposition. According to the study, the risk of becoming obese if you have the "fat mass and obesity associated" (FTO) gene becomes nearly 30 percent less likely to happen for physically active adults compared to those who aren't. "Physical activity is an effective way of controlling body weight, particularly in individuals with a genetic predisposition towards obesity. Thus, they contrast with the determinist view held by many that genetic influences are unmodifiable," Dr. Ruth Loos, who led the study, told Medical Daily. So even if obesity runs in your family, your genes can't hold you back from a healthy body. 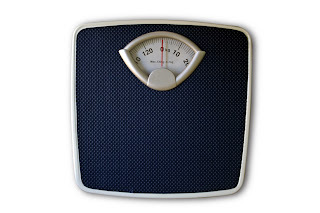 Your ideal weight is now in your own hands, and there are no excuses either. Make an appointment today for your free weight loss consultation with Dr. Aron. Even healthy dieters need to snack throughout the day. But what should you do when you suddenly crave something that’s oh so bad for your weight loss goals? Don’t reach for your salty, greasy standby, the potato chip. Instead, grab something else that not only satisfies that same craving but is much healthier—and tastier. A recent Harvard study found that potato chips are one of the top contributors to weight gain, and it’s no surprise, considering that they are fried and covered in grease. The snack options below, however, have fewer calories and fat. If you still need help in developing healthy eating habits, schedule an appointment to speak with Dr. Oksana Aron to work on a weight loss plan and fast weight loss diet plan.